Following the country's first ever win in the annual competition in May this year, the European Broadcasting Union has confirmed that the city will now play host to 2018's event. Dates for the show have also been confirmed. The semi-finals will take place on 8 and 10 May, while the final is being held on Saturday 12 May. The EBU's executive Eurovision supervisor Jon Ola San said: "We are very pleased to announced that RTP will be hosting the 2018 Eurovision Song Contest in Lisbon. "The city has presented an exemplary proposal, and we look forward to working together to make Portugal's first ever Eurovosion the most exciting one yet. "We would like to congratulate RTP on their professional and details assessment of all the bids." 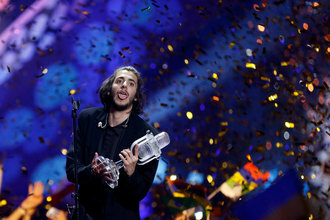 Portugal scored its first ever Eurovision victory at the 2017 contest in Kiev, with Salvador Sobral's ballad "Amor Pelos Dois" winning over voters. The UK managed to achieve its best performance since 2011, after contestant Lucie Jones' song "Never Give Up on You" finished in 15th place, with 111 points. The country which wins the Eurovision Song Contest is traditionally the one that acts as host the following year.